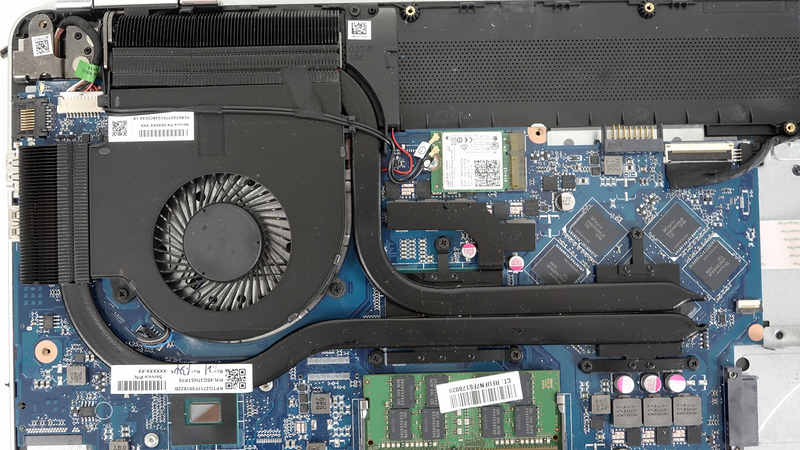 It’s time for that disassembly article again and this time, we are looking at the newly announced HP Pavilion 17 notebook. We are expecting some revamped cooling system in order to accommodate the high-performance Core i5 or i7 CPU along with the powerful NVIDIA GeForce GTX 960M GPU. 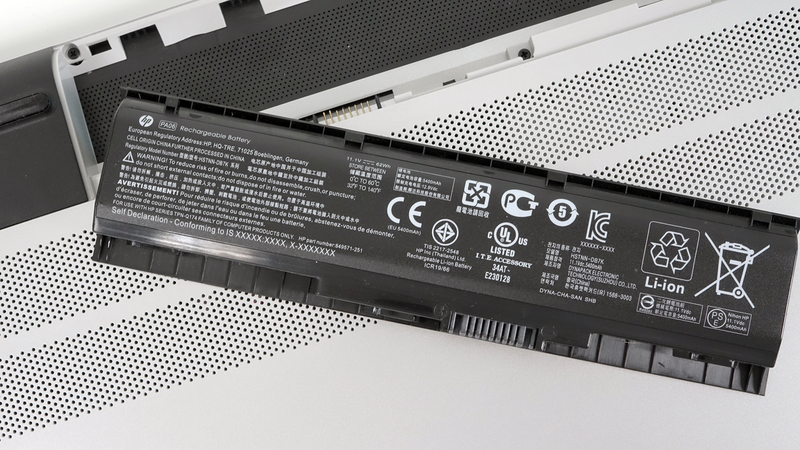 remove the battery, which is user-accessible and rated at 62Wh, as shown in the photo below. 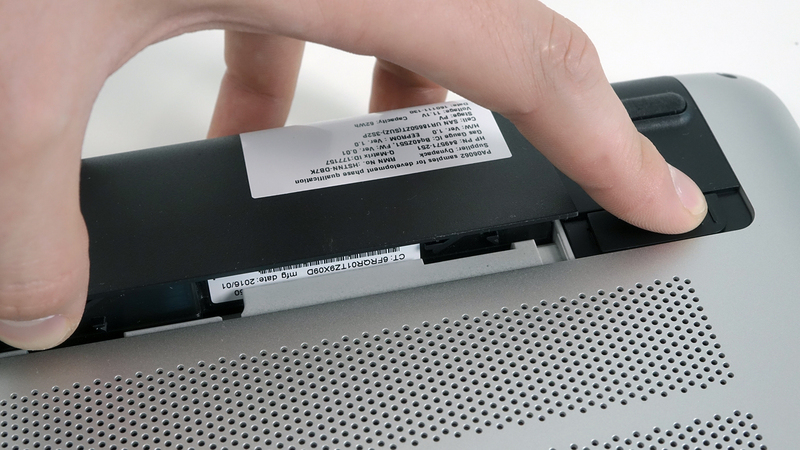 After the battery is out of the way, make sure you’ve removed the screws hiding beneath as well. 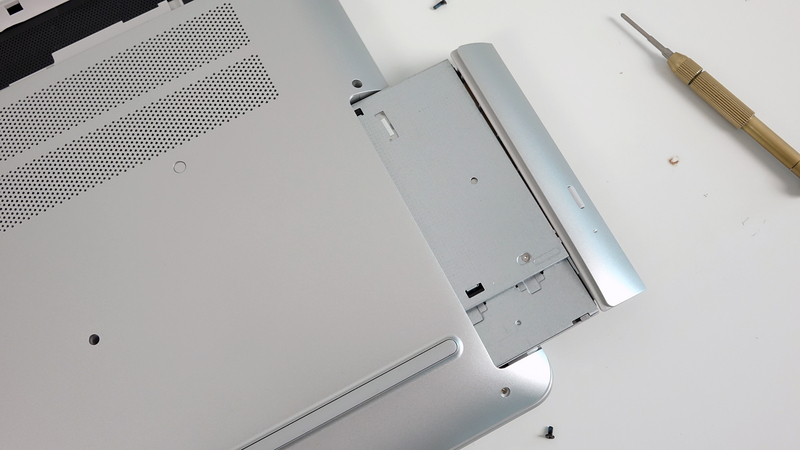 Then, proceed with removing the rest of bolts around the chassis and the optical drive. Get yourself a thin plastic tool to pry up the keyboard tray and remove the bottom piece. 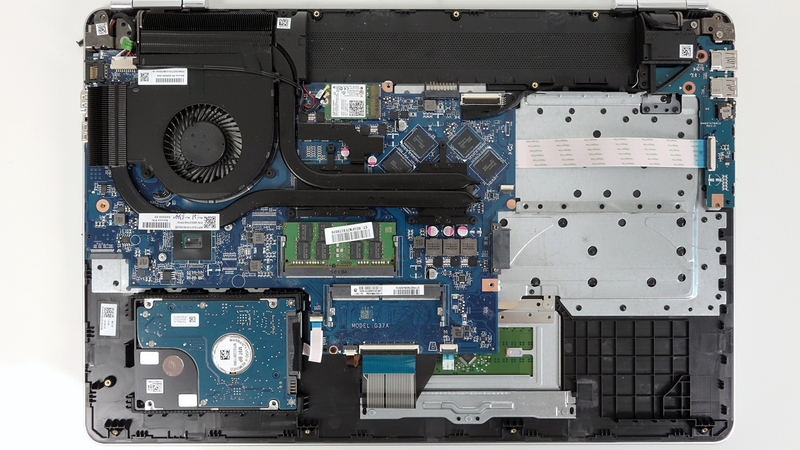 Removing the bottom reveals all the internals you might want to upgrade, maintain or change. 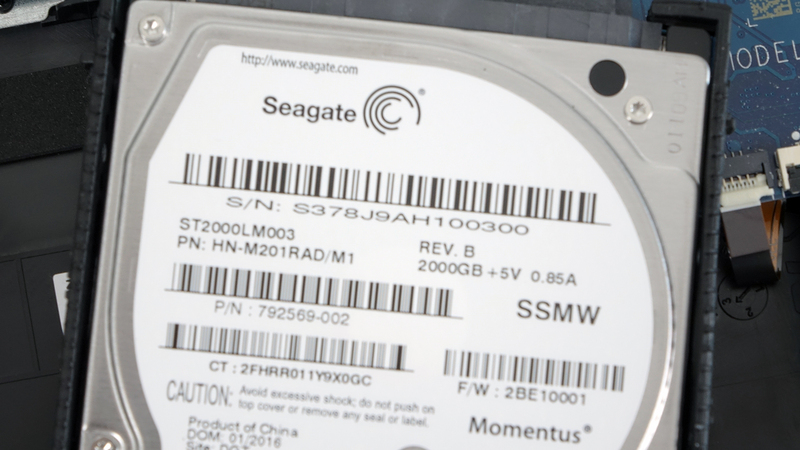 You can see the 2.5-inch HDD placed near the bottom left corner – 2TB Seagate spinning at 5400rpm. 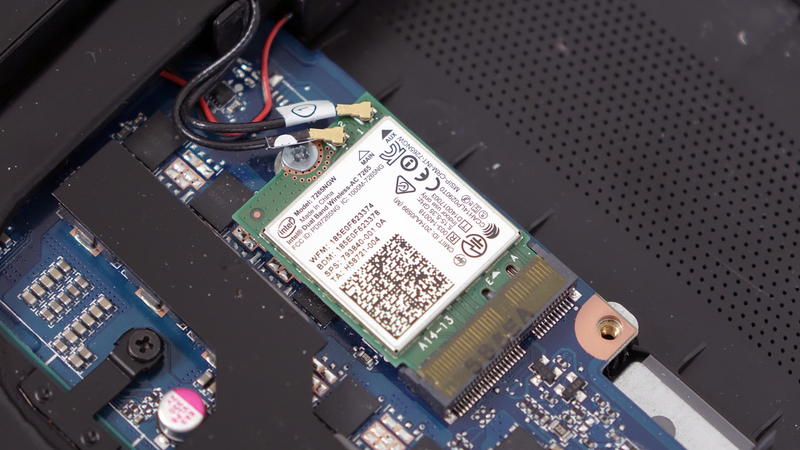 Right next to the 2.5-inch drive, you can see the M.2 SSD slot supporting 2280 standard with M-edge key connector. 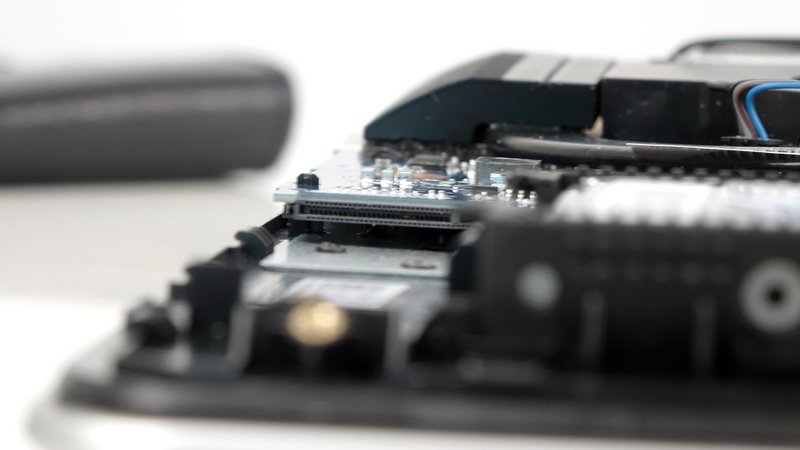 As you have already noticed, the motherboard supports up to two DDR4 RAM chips. 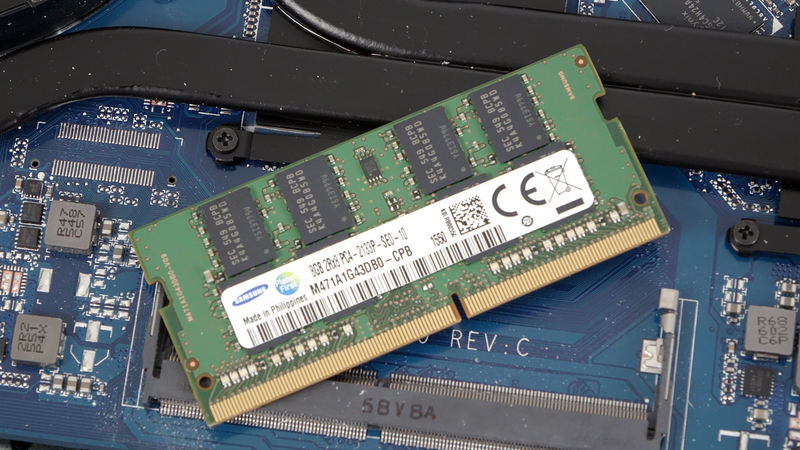 Our unit came with only one Samsung 8GB DDR4-2133 stick. The Wi-Fi module is placed near the fan. 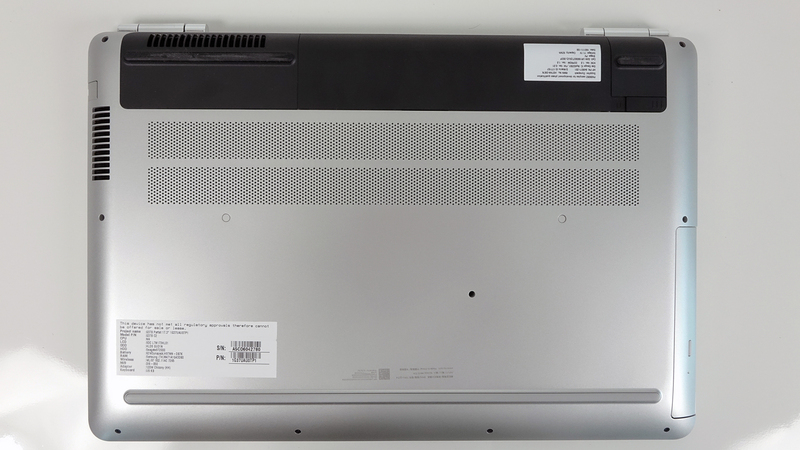 It’s Intel Dual Band Wireless-AC 7265. The cooling system consists of just one big fan dispersing heat through two vent openings at the same time, which are connected to two heat pipes going straight to the CPU and GPU. At first glance, the design isn’t sufficient for supporting the unit’s Core i5-6300HQ and GTX 960M GPU but our tests will confirm or disprove this claim. Stay tuned for our full review. What about stress tests results? Max temperature? Keyboard quality?